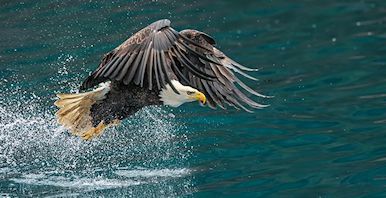 Book Your 2019 Alaskan Cruise and Save! Always dreamed of taking an Alaskan cruise? Book a Summer 2019 cruise aboard NCL’s Joy and get Complimentary or Highly Reduced Airfare! Live in the Northwest? Take up to $1,000 off your stateroom based on category type instead. But hurry, this is a limited time offer (to qualify for your discount you must book by October 2, 2018). The best way to cruise Alaska just got better as Norwegian Joy joins her sister ship, Norwegian Bliss, starting April 2019. Find your happy place on board and experience the thrilling two-level race track, a virtual world of wonder at the Galaxy Pavilion, new concierge level accommodations, and stunning views from the observations lounges. Feel free to embrace Joy in Alaska. Few regions are more captivating than the Pacific Northwest. From the grandiose landscapes to its rich culture, it’s a place unlike any other. Experience its simple wonders for seven days aboard one of the world’s most magnificent ships. Enjoy Seattle, at the beginning and end of your seven day cruise. Dine on freshly caught salmon in Ketchikan. And in Victoria, visit Butchart Gardens, a 100-year old floral paradise. Relax in comfort and style with a wide range of staterooms, including The Haven by Norwegian®, for the most luxurious, well-appointed and spacious accommodations. 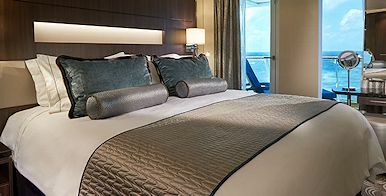 Whether you want to make it a family affair and stay in a Family Suite, vacation solo in a Studio or enjoy a Balcony Stateroom with some of your best friends, Norwegian has just the room for you. Connect with the sea on The Waterfront, the ship’s quarter-mile oceanfront promenade. Savor a three-course meal and a great bottle of wine. Or grab a burger hot off the grill. Dress up. Dress down. Sit down with friends or make new ones. 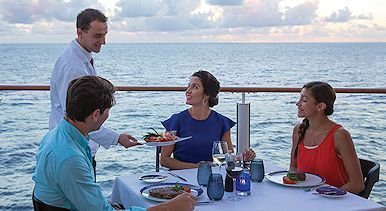 Thanks to the flexibility of no fixed dining times or pre-assigned seating, you have the freedom to enjoy more dining options than days of your cruise. Discover a new restaurant or bar each day and night! Step out into the breeze at Los Lobos, a premium Mexican restaurant celebrating traditional flavors with a modern twist. Dine oceanside at La Cucina and enjoy delicious lobster fettuccine. Or simply enjoy the view. Contact Susan Rogers in our Vacation Department to take advantage of these incredible savings now, and lock in your complimentary airfare while this offer is good!